Thank you, your email subscription is confirmed! The hemp industry is exploding, with a dizzying variety of CBD-infused products and hemp derivatives showing up everywhere from roadside farmer’s markets to expensive boutiques to veterinarian offices. Hemp’s remarkable growth is drawing the attention of a diverse group of investors, entrepreneurs and policymakers. Many new entrants to the hemp industry have no familiarity with cannabis; others are longtime marijuana operators looking for new opportunities. 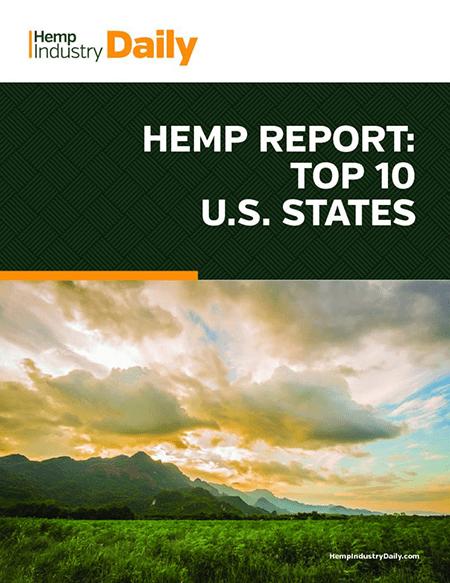 In this report, you’ll find detailed analysis of the nation’s top 10 hemp-growing states, along with charts showing exclusive market intelligence about a crop that is not tracked by any national regulatory agency.